The typical washer-dryer combo unit lasts about eight years. The one in my home was in its 14th year, and living on borrowed time when it finally expired last year. Its demise meant a large unexpected expense I hadn’t counted on. I bit the bullet and called the same appliance retailer I’d bought my last combo from, and ordered a new one. I spent a few weeks sudsing my duds at a local Laundromat, but finally the installers arrived at my home and hooked up a new washer-dryer. I was happy until it came time to wash my first load. Turned out the new appliance not only washed my clothes, but deep in its first wash cycle expressed its contempt for my wardrobe by spitting a large part of the wash water out its front-loading door. I must be doing something wrong, I thought. Either I erred on one of the 328 steps leading up to washing a load, or didn’t understand the appliance manual, evidently penned by someone who took up English last Thursday. I’ll sit here and watch the second load cycle, I told myself, and be ready if it derisively expectorates rinse water again. Yep, the second time around was the same as the first. Actually, worse. The water deluged out of the tank so fast I never had time to react. I had a newly-washed load of clothes, and an apparently ruined laminate faux wood floor beneath it. Not long thereafter, I plugged in an electric appliance while my home was blanketed in illumination from holiday lights, and managed to short out several wall outlets in my kitchen. Fortunately, these kinds of disasters don’t happen to me very often. But they apparently do for many American homeowners, particularly those in older homes. Plumbing fails, heating or cooling goes on the fritz, and water lines malfunction. Since many such events not covered by homeowners’ insurance, these occasions can have disastrous implications for a household’s fragile savings plan. 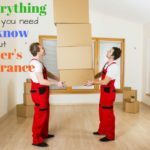 Saving savings from being decimated by unexpected emergencies is the thinking behind a product called home emergency gap coverage. It’s a comparatively new financial risk management tool to protect homeowners from unexpected and costly home repairs not covered by their basic homeowners’ insurance policies or their utilities. And to me, this coverage seems surprisingly affordable. How affordable? That depends on your circumstances, so I’ll leave the research to you. Many homeowners aren’t quite sure what their responsibilities are when mini-emergencies arise. A recent survey, for instance, revealed that about half of all respondents were not aware that they could be responsible for repairs resulting from problems with the water service line carrying water into their homes from the street. Most of those wrongly thought their homeowners’ policy or the utility would pick up the tab. Several companies play in the home emergency insurance gap coverage arena. From what I can discern, they include HomeServe, American Home Shield, and Cross Country Home Services. HomeServe, the company behind the 2012 survey referenced above, had Ipsos Public Affairs conduct that survey in December 2011 and January 2012. The survey asked participants a number of questions about home repair problems, and their expectations regarding what parties were responsible for the fix in event of malfunction. Having established that 71% of U.S. homes are 20 years old or older, the survey found respondents had experienced problems one might expect with homes growing long in the tooth. In the previous 12 months, 33% of those surveyed had had problems with plumbing, 20% with electric heating or cooling, 14% with interior electrical and 10% with a water service line. Not surprisingly, and reflective of most people I know, many of the survey respondents weren’t prepared for home repair emergencies. One in five of them were putting off a home repair for any number of reasons. Lack of funds was cited by 72% for delaying repairs, while 24% said they didn’t have time. Fourteen percent were postponing repair work because of trouble identifying a repair company, and 14% cited “other” as reason for delaying. One statistic really jumped off the page at me, because it’s a problem I — and I suspect many others — experience. Some 44% of homeowners said it’s hard to find a reliable repair service. 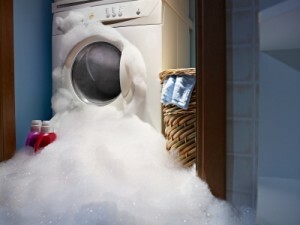 According to a GfK Roper Custom Research North America study from 2010, 50% of Americans do not know they are responsible for repair costs in many common home emergencies. And according to a National Foundation for Credit Counseling report, 64% of Americans did not have $1, 000 in savings to pay for emergency home repairs. What’s that old adage? You manage the risks you can control, and insure the risks you can’t. In this case, it’s an adage that really hits — where else? — home. or anything you can advise? I get so much lately it’s driving me mad so any assistance is very much appreciated. It seems what you’re talking about here are home warranties. These are warranties that cover appliance failures and other home repair costs. They are generally not a good deal. Theoretically it seems like a good idea. But from what I’ve heard the companies that sell them are notorious for not paying claims and using poor contractors plus theres always a deductible or service charge for any repair. You’re likely best to save cash separately. I have a slightly different take on that old adage. I tend to insure things that I can’t afford — or at least that I can’t easily afford. If I can’t control a certain risk but I can easily absorb the expense, I’m not too concerned about it. I have home owners insurance so this seems like a waste of money. People need an emergency fund to cover small home repairs or appliance replacement. I’m assuming this “home emergency gap coverage” is simply another name for something like an AHS home warranty? Because I can’t find anything like the term you used anywhere else online.